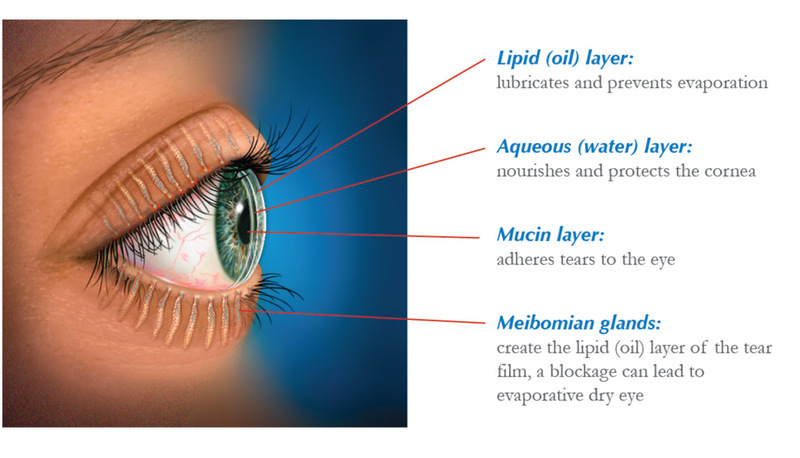 Aqueous dry eye is simply the gland in the eye not being able to produce enough tears. The exact deficiency would consist of under-production of the watery part of the tears by the lacrimal gland. There are several treatment options. Artificial tear supplements will compensate for the low level of aqueous production. Punctal plugs will work by plugging the punctum in the eyelids that drain the tears, thus preserving the tears present.